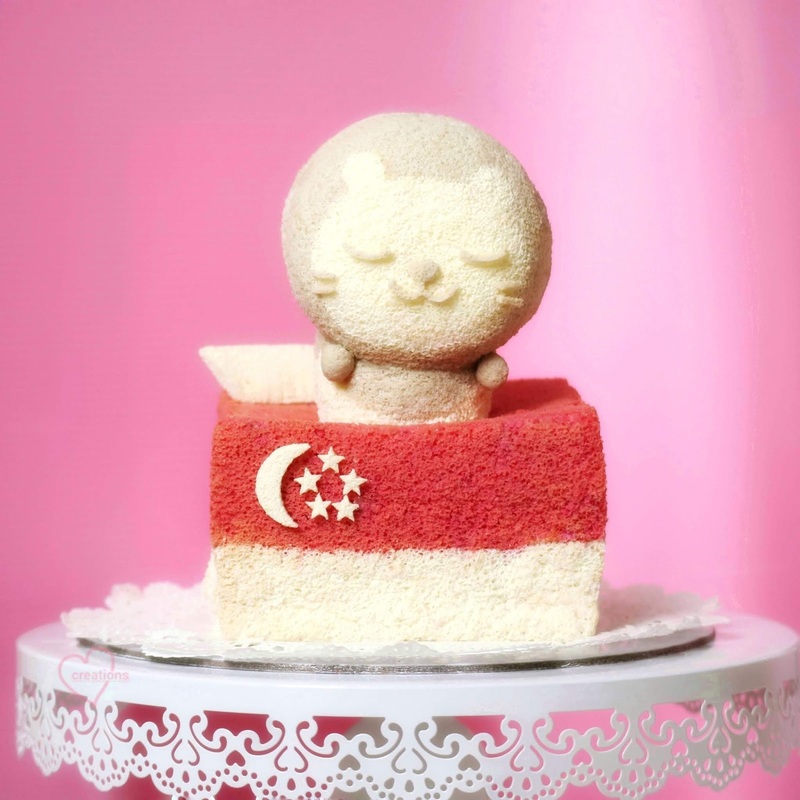 Haha suddenly so many National day bakes.. cos today is a special day! Happy National day to all! <3 I have been wanting to make the Merlion for a long time! Finally get to make this year, albeit a cartoon version inspired by Naiise =). I am glad that the square chiffon tube pan I got from Japan finally got to good use!! I can finally make a true National day chiffon cake! The colour is from Raspberry Jello. For full recipe and video tutorial, click here.